Why Study English in Sydney? Sydney is Australia’s oldest, largest and most multicultural city, surrounded by incredible beaches and national parks. It is a hugely popular tourist destination featuring a wide variety of museums, shopping areas and culture and arts to enjoy, all surrounded by the stunning harbour. 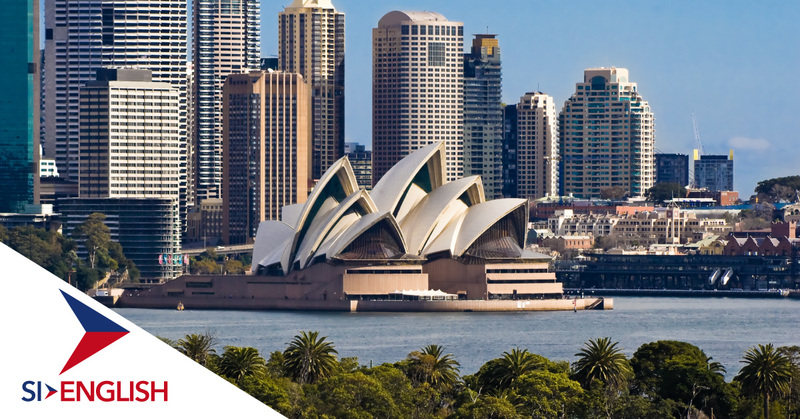 Learn more about why you should consider studying English in Sydney below, and contact SI-English today to learn more about how we can guarantee you an offer from a Sydney language school using our 100% Free Service. As one of the largest student cities in Australia, Sydney attracts students from all over the world. The five universities in the city have an international reputation for excellence, and language schools are similarly famous for their multicultural mix of students. There are more than 70 stunning beaches to enjoy in and around Sydney. Whether you want to take part in or watch the surfers of Bondi Beach, or go snorkelling at Shelley Beach, there is a white sandy beach for everyone. Name a summer activity and it can be done in Sydney. From surfing to sailing or taking in a floating opera to the cinema under the stars, Sydney’s sunny climate with mild winters and hot summer makes it perfect for enjoying the great outdoors. Want to get away from the sun for the afternoon? Places such as the Museum of Sydney or the Art Gallery of NSW will give you a fix of history and culture. Sydney is home to one of the most iconic landmarks in the world with its eye catching Opera House, but there also many other sights to behold. The Harbour Bridge, Rocks and St Mary’s Cathedral all make for an unforgettable experience. If you are interested in studying at an English language school in Australia, apply with SI-English today. We can help you apply and guarantee you an offer letter from a school within 24 hours using our 100% Free Service.